A charge leveled by Vyapam whistle blower Anand Rai that the apex court-appointed oversight panel headed by former Chief Justice of India R M Lodha had overshot Medical Council of India and Health Ministry's disapprovals and allowed several medical colleges to admit students was rejected by the Supreme Court today. A bench comprising Justices A R Dave and L Nageswara Rao did not approve of the argument and contention in Rai’s PIL that the Lodha panel had had gone beyond its mandate of monitoring the work of Medical Council of India (MCI) and given its nod to over 100 medical colleges to start admissions without assessing their facilities. Rai, a whistle blower in the Vyapam scam has been asked to give a representation to Justice Lodha panel rather than raising the issue in the court. Rai even broke down after becoming emotional when the bench tried to ascertain his bonafide as the petitioner. “Don't get emotional. We just want to verify certain things, the bench then told him. Senior advocate Parag Tripathi, appearing for Rai tried telling the court that his client was only guided by the interest to ensure quality medical education. Earlier, a Constitution Bench had invoked extraordinary powers under Article 142 of the Constitution while ordering the setting up of the three-member oversight panel to oversee the functioning of the MCI for at least a year. The verdict had endorsed a Parliamentary Standing Committee report that medical education and profession in the country was at its lowest ebb and suffering from total system failure due to corruption. 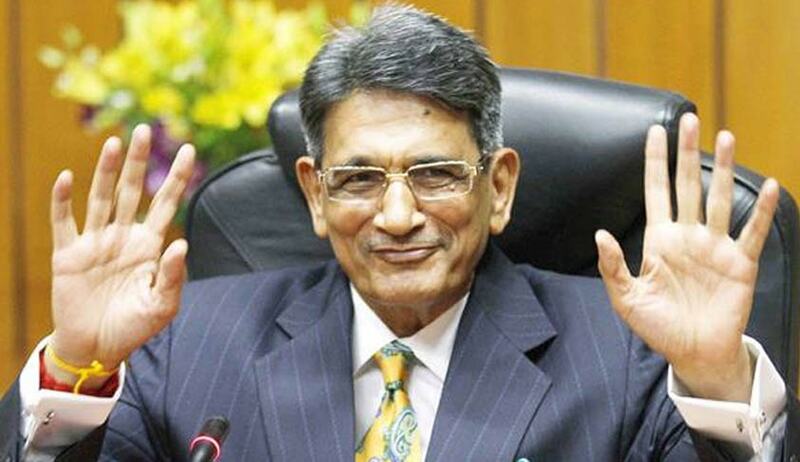 Besides former CJI Lodha, the panel comprised Professor Shiv Sareen (Director, Institute of Liver and Biliary Sciences) and former CAG Vinod Rai. Rai’s petition said MCI had processed several proposals from medical colleges - varying from establishment of new medical colleges to renewal of permissions to increase in seats to grant of recognition to medicine courses for 2016-17. Of this around 150 proposals for new undergraduate courses and 118 for super-specialty courses for 2016-17 were disapproved by the ministry on the recommendations of MCI after independent verifications had found several deficiencies in the colleges. The petition said the Committee, on August 12 and 13, approved a majority of applications by medical colleges seeking renewal of permission for 2016-17, grant of recognition for undergraduate courses and increase in intake for 2016-17.